Buy your favorite Kebelo hair products online at SkinStore. 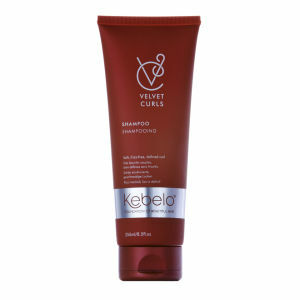 We have the full range of Kebelo shampoos, conditioners and treatments right here. Our pick is the Kebelo Ultimate Revitalising Set, including a shampoo, conditioner and masque, the set not only sorts out dry, damaged hair by restoring lost moisture but also provides volume thanks to the added soy and hydrolysed wheat in the shampoo adds volume, leaving you with gorgeous big and glossy hair. For those of you suffering from frizzy hair, we recommend the Ultimate Silk Anti-Frizz Set which includes a shampoo, conditioner and silk cream which uses quinoa, amaranth and chamomile to smooth each strand and revitalise hair. Founded in 2010 by three brothers who are 3rd generation hair care professionals, Kebelo promises to create the "Foundation Of Beautiful Hair". Their products are meticulously researched and developed over a number of years. Using a safe, gentle and ethical approach, the ingredients used in their hair treatments are derived from nature. With such close attention to detail you can have peace of mind that Kebelo products are not only safe but perform as you want them to.